C. 1990. A rich unique chocolate brown pearl is the perfect accessory for the fall season. From our Estate collection, this statement-making cocktail ring features an 11mm brown cultured freshwater peal swirled around bands of .25 ct. t.w. round brilliant-cut diamonds. 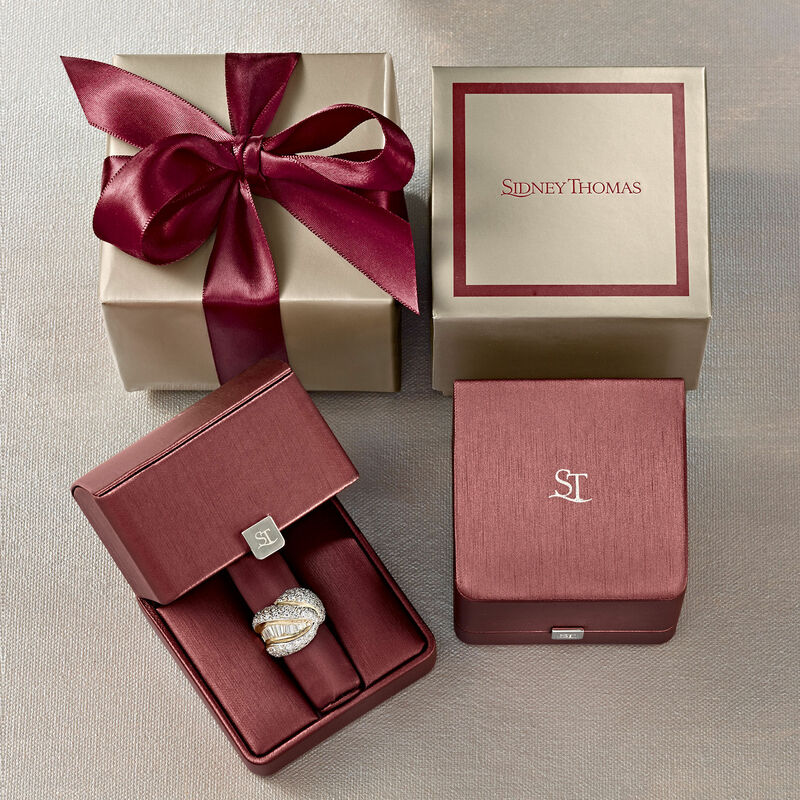 Makes the perfect gift for Valentine's day, instead of chocolate get her a chocolate brown pearl ring! Set in polished 14kt white gold. 3/4" wide. Diamond and brown pearl ring. Exclusive, one-of-a-kind Estate Jewelry.